The Legal locum market is booming. Firms of all sizes are increasingly seeing the benefits of sourcing qualified legal assistance on a locum basis, but what is the locum-motive? There are a variety of unavoidable scenarios, where a locum can be the perfect solution. When a partner goes on a long summer holiday, a sabbatical or maternity leave, small and medium firms can really feel the pinch. Hiring a locum solicitor can also help with a specific project or a temporary increase in your workload, which can provide multiple advantages. You get the benefit of obtaining an experienced, flexible solicitor who is used to adapting to new environments and getting to grips with projects quickly. This is someone who can add value to your team immediately. Locums are also invaluable as an interim measure during the recruitment process. This prevents your talent acquisition decisions being made in haste, and allows the work to be done in advance of the new team member entering the firm. Whatever your motivation, LR Legal Recruitment is ideally placed to help solve your needs. Historically, there has been a reluctance to use locums based largely on the view that no-one knows the cases as well as the regular fee-earner. Sourcing a locum through LR Legal Recruitment, you can be rest assured that the quality of each professional on our books will be extremely high, and capable of understanding and tackling the cases presented to them. We have moved away from the perception that locum candidates may be of lower quality than their permanent counterparts. Locums today are no longer viewed as inferior, but rather as highly flexible, motivated and adaptable individuals. People are becoming locums as a career decision rather than accepting the role passively due to lack of options in the job market. By electing to be a locum, individuals are taking control over their work life balance and are no longer slavishly following the traditionally long hours of regular employment. Many locums are choosing to work for a portion of the year, before spending the remaining months abroad. Due to the nature of locum work, the individuals that are attracted to it are highly adaptable and are excellent at understanding and taking on a caseload, with immediate effect. Some former city partners are interim locums, between permanent jobs, while others are professional locums who would never consider a permanent position. The best locums tend to be a certain type of lawyer – someone who is not only technically excellent but has a real flair for business development. Hiring a locum can give you access to a top-quality lawyer without needing to maintain a high-end position for that individual. This can be exceptionally useful in a variety of scenarios. With the world becoming more instant, the days of expecting your clients to wait for long periods of time are past us. Hiring a locum to keep you on top of your workload if you experience sudden fluctuation in you work flow, is an excellent solution to keep your clients happy, and retain their services. People have become less loyal and are more inclined to move firms if they feel the service they are receiving is not within their stringent time frames. So if you are experiencing sudden expansion, maintaining client satisfaction needs to be considered a top priority. Hiring a locum is an economically viable solution, when you consider the cost of losing good clients. Locums are a perfect solution for providing cover for sickness or maternity leave and they are often hired to provide an extra resource for transaction, litigation deadlines or sudden bursts of client activity. More specifically, locums can cover gaps, in the capability of, and provide relief to, permanent associates during the often long, and occasionally contentious search for a new permanent team member. The use of a locum can help smooth over the on-boarding process of a new employee, keeping the workload up to date, while the new employee can take their time to understand the operating system of their new firm. Clients who choose to do this take the view that locum cover for a difficult-to-fill permanent vacancy will allow them to be less reactive and more discerning in finding the ideal talent for their team. The costs associated with making a bad employment arrangement are notoriously high, so providing your firm with the time to make a well-considered decision is an economically advantageous situation to be in. The market for good locums is recession proof. In an economic downturn, In-house, private practice and local government sectors will want to keep their fixed overheads under control so permanent hires may not be possible. Likewise, at the beginning of an economic upturn, initial uncertainty may mean firms do not want to commit to adding to headcount, and a locum is an obvious solution. This makes being a locum a wise decision as the fluctuations in the employment market are well documented. Many locums enjoy exciting openings in firms that may not have previously been available to them in the permanent job market. The legal profession is slightly behind other sectors in taking advantage of temporary and flexible contracts but the tide is changing and the concept evolving. For firms looking to expand, or deal with a sudden influx of work, the hiring of a locum is an ideal solution. Likewise firms who are wishing to restructure, or re-orient their offerings can use locums to provide a good service for their clients, while they move their firm onto its new trajectory. With both parties benefitting, the future for locum arrangements is only getting brighter. In world in which it is becoming increasingly difficult to juggle the work-life balance, this can only continue to strengthen. It seems to be a case of ‘All Aboard!’ unless you want to be left behind. About us, we have over 15 years of specialist legal recruitment experience and a unique hiring and induction process that ensures we engage the best talent for each sector of law we provide for. With our extensive network of locums and other highly trained individuals, we have a range of talent waiting to be placed. Due to the expansion of the locum market, we have developed a network of highly engaged professionals. As we maintain and improve our relationships we are in the position to know who is looking for a new opening, and which firms are considering a locum. 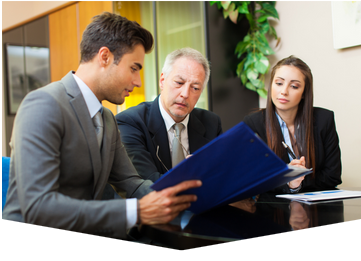 This relationship with our clients means that we will often have the ideal candidate waiting for you. With our understanding of what motivates people, we can help you to choose the right individual to fit in with the ethos of your firm. To discuss what every law firm should know about locums, whether you are a locum, or are looking to recruit one, please contact LR Legal Recruitment for an initial confidential discussion on 0208 464 2503. To learn more about what we do, please visit our website www.lrlegalrecruitment.co.uk. This entry was posted in Legal recruitment on 13 April 2017 by admin.